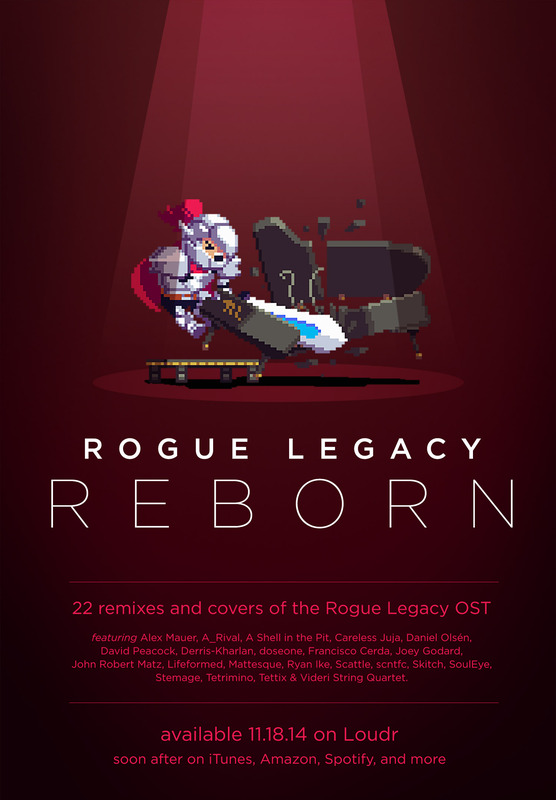 Rogue Legacy: Reborn – An amazing album of Remixes! It’s a fantastic album of remixed tunes from some of the most talented individuals in game music; and I’m humbled to be a part of it. In addition, I’m incredibly pleased to announce that the incomparable Michaela Nachtigall (Mklachu) has lent her fantastic violin to my section of the album; her artistry truly elevates my contribution to new heights. It’ll be available Tuesday, November 18th on Loudr, and will be on iTunes, Amazon, and several other services over the following days. I’m incredibly excited to share what I and 22 of my friends and colleagues have put together, and I hope you enjoy the result. ← Gunpoint is in the latest Humble Bundle!